Running challenge 1: Time for a rematch, Texel 40.8 miles. On the 2nd of July in 2016 I turned 40 and I wanted to make it a big event by taking my closest family and some of my friends to my favorite place in The Netherlands, the island Texel. The plan was to celebrate my 40th birthday by running around this island on a course of roughly 40 miles. During this run I would be accompanied by the family members and friends that also run for part of the distance. Unfortunately I had to call it a day on kilometer 40 due to a knee injury. So I have some unfinished business there. And so this year I will return on the 22nd of April this year for another attempt. The event wont be as big as previous year as I am not able to bring everyone along for the second attempt but I am very happy that during this years attempt my good friend Tom Maessen, my sister in Law Anja and her partner Wil will be joining me during the run before I finish the last part together with Astrid. Since the start finished location changed compared to last year I had to modify the course a bit and after playing around with the course I ended up with a distance of 65.3 kilometers which is 40.8 miles. Without having planned it this way it ended up perfectly as my age on the day of the event will be 40.8 years. I will start the run early in the morning together with Tom, covering the first 27.5 kilometers from the start to the final resting place of the Dutch ultrarunning legend Jan Knippenberg. Then Anja wil join me for the next 13.4 kilometers on our way to Texel’s national park where Wil will join me for a 17.1 kilometer trailrun through the forest and along the beach. And after those 58.4 kilometers Astrid will join me for the last 7 kilometers to the finish location. This year I will be better prepared and will do everything in my abilities to succeed. I am very much looking forward to this challenge and being surrounded by the people I love and care about while going on this adventure. 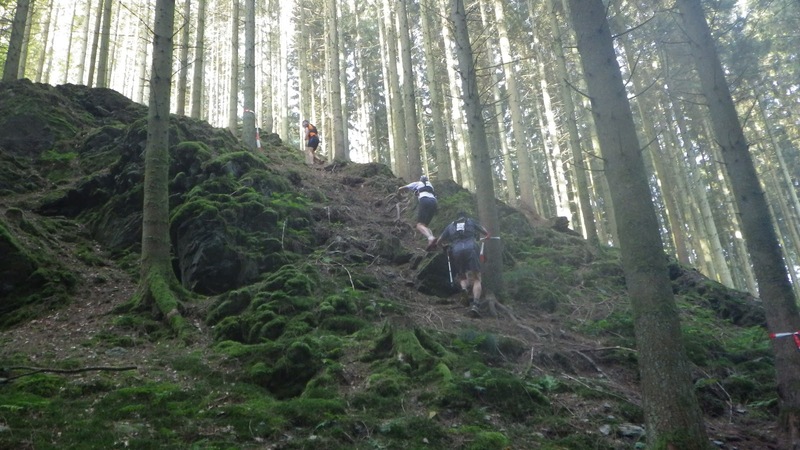 Then on to the second of my running challenges… The Trail des Fantomes in the Belgian Ardennes. Ever since my first run in this area during the training weekends with Astrid in preparation for the 31 kilometer edition in 2015 I fell in love with this place. To me the Belgian Ardennes is one of the most beautiful and challenging places to run in Belgium (and there is nothing that even comes close to it in The Netherlands). The terrain is very challenging and demanding and can really wreck you physically and mentally. Once every three years there is a 100 kilometer distance on the program of the event and this is one of those years. And so on the 12th of august at 4:00 AM I will be at the starting line of this monster race. With a time limit of 18 hours I will have until 22:00 to cover the 100 kilometers and 3350 meters of elevation gain on this beautiful course. From this year’s challenges the Trail des Fantomes is also the one I am fearing the most. I am not a very fast runner in technical terrain nor am I a strong climber and my descents can use some work as well. And so in the months leading up to this run you will find me spending quite some spare time on the course preparing for this race as I want to make sure I have given it everything I got to make this a success. And then at the end of the year it is time to return to the Bello Gallico trail. But this time for the full distance, to run my first 100 mile race. At this moment it feels like a logical progression going for this distance. But it is only two years ago when I said I would run a marathon just once in my life. And now I am planning to run almost 4 times that distance in one single race. While running the 50 mile edition in 2016 my thoughts could be summarized as: “I hate this course… I will never run this again…” for some reason when I say things like never it usually means that I will come back. Honestly, what made me change my mind already a few days after the Bello Gallico finish is the great atmosphere that surrounds the events that are organized by the Legends Trails organization and the great people that the race directors, their wives and all the volunteers are. I have been lucky to be part of their first Legends Trail as a volunteer and now had also enjoyed being a runner in one of their events. So I thought this would be the ideal occasion for my first 100 mile race. And so the planning for this year is set. I will run these 3 main events, each 4 months apart to allow for proper recovery, training and tapering for these 3 completely different goals. The rest of the year will be filled with adventures that will be part of my preparation for these events and I will try to blog about them along the way. It’s going to be an awesome year experiencing my passion in running on new levels.